Gujarat Heritage Tour, with its exciting package of 8 days, gives you an opportunity to visit the former princely state of Gujarat, a prosperous state belonging to the western part of India. The itinerary takes lets you come across the heritage of famous historical places like Chhota Udaipur, Uthelia, Bhavnagar, Gondal and Wankaner. This itinerary also allows you to visit the exotic wildlife at Jambughoda wildlife sanctuary as well as the Palitana Jain temples. Upon your arrival at the Ahmedabad airport or railway station, begin your drive to Jambugodha (around 182km). After arriving, complete your check-in formalities at your pre-booked hotel. Afterwards, make your way to Jambughoda Wildlife Sanctuary. It served as the former private hunting village of the Prince of Jambughoda. 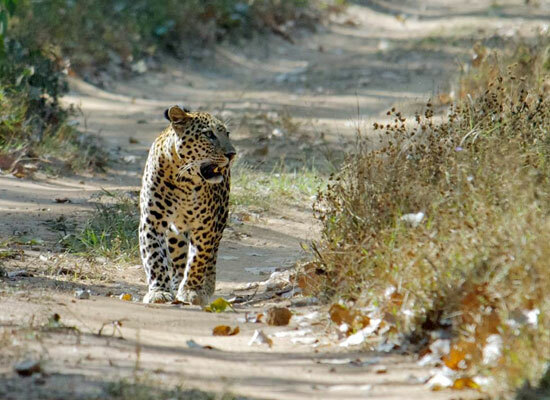 In the course of the safari, one may spot animal species like leopard, jackal, sloth bear, four horned antelopes, wild boar and blue bull. During the evening, you will visit a nearby village. This is followed by a stay in a heritage hotel or similar property. Enjoy a delicious breakfast on Day 2, and then leave for an excursion to Chotta Udaipur, a princely state formerly known as Rewa Kantha (around 73 km). After reaching, pay a visit to the wonderful tribal village lying in close proximity. There, you can observe the traditional lifestyle of the people, interact with the locals, enjoy their local renditions etc. Return back to Jambughoda for an overnight stay at a heritage hotel or a similar property. 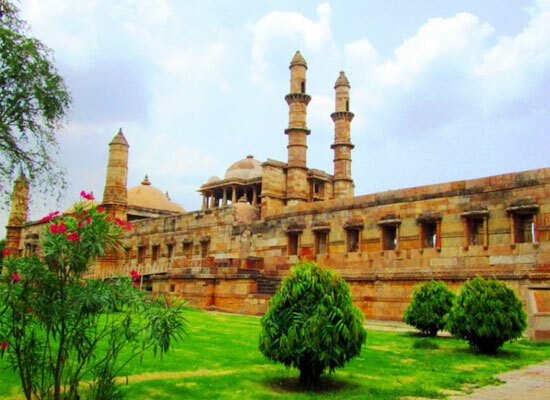 After an enjoyable breakfast, depart by road for Uthelia through Champaner, which is a historical city in Gujarat. This place is home to several architectural monuments, including a UNESCO World Heritage Site. Upon reaching the place, set out to explore the famous tourist attractions including Champaner Fort, Jama Masjid, Kalika temple etc. In the evening, reach Uthelia. After completing the check-in formalities at one of the heritage hotels you have the day to yourself. Enjoy an overnight stay at a heritage hotel or a similar property. Post-breakfast, make your way to Lothal, a city of immense importance in the Harappan civilization. After arrival, explore the remains of the flourishing commercial center during 2000 BCE. Later, leave for Bhavnagar, a historic city established in the year 1724 AD. After arriving, complete the check-in formalities at one of the heritage hotels. During the evening, you will be visiting the Barton Museum and shopping at the local Bazaar. This is followed by a stay overnight in a heritage hotel or similar property. Day 5 is reserved for an excursion to Palitana. This place is an important religious site for people belonging to the Jain religion who believe that in order to attain nirvana, one must visit this site. 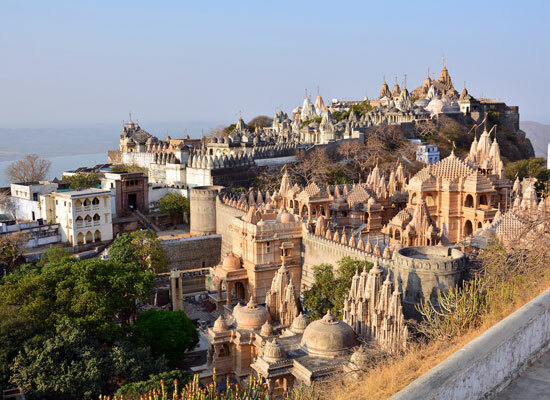 Situated on Mount Shatrunjaya, the Palitana Jain Temples consist around 863 marble-cut temples which were carved during the 11th to 20th century. 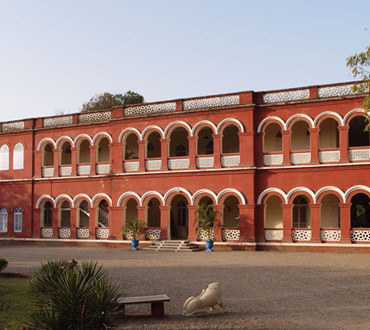 Return to Bhavnagar for an overnight stay at a heritage hotel or a similar property. After enjoying a hearty morning breakfast, make your way to Gondal, a historic city by road (around 180km). After arriving at Gondal in the afternoon, complete the check-in formalities at your hotel. 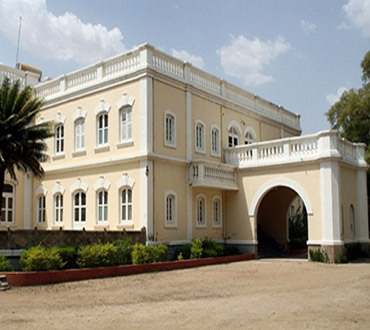 Afterwards, set out to explore the important attractions in the city including Naulakha Palace. This fabulous palace is distinguished by its beautiful balconies and exquisite stone carvings. 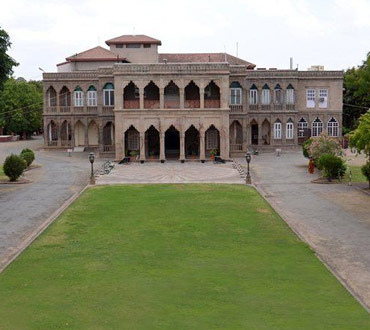 After that, head out to visit the vintage car collection of the royal family of Gondal. Among the collection is a 1910 new engine, a Delage and Daimler from the 1920s, a 1935 Mercedes and 1935 Packard 2 door convertible, beside others. Have a delicious breakfast and then hit the road to Wankaner, a former princely state of Gujarat. 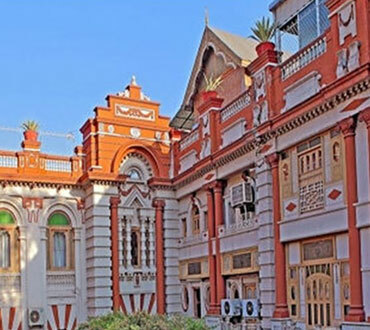 En route, you will visit attractions like Watson Museum, which is also one of Gujarat's largest museums and Rashtriya Shala to witness the process of cloth weaving. Then, make your way to Wankaner. Complete the check-in formalities after your arrival at the hotel. 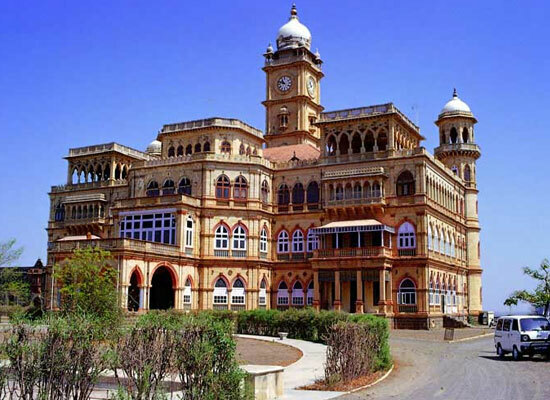 Afterwards, go on a sightseeing tour to places like Wankaner Palace Museum which served as the house of the Wankaner royalty and is now transformed into a museum. Also visit the nearby village. This is followed by an overnight stay in a heritage hotel or similar property in Wankaner. Post breakfast, make your way to Ahmedabad by road. In the afternoon, go on a sightseeing tour to the city of Ahmedabad. Enjoy your farewell dinner, then get transferred to the Ahmedabad airport or railway station from where you will board a flight or book a train to your onward destination.